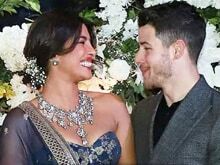 The paparazzi couldn't get enough of Priyanka Chopra and Nick Jonas when they stepped out for a dinner date on Friday night. They were spotted entering a five-star hotel in Juhu. According to reports, a roka ceremony will be held today at her Juhu home followed by an engagement party for close family and friends.